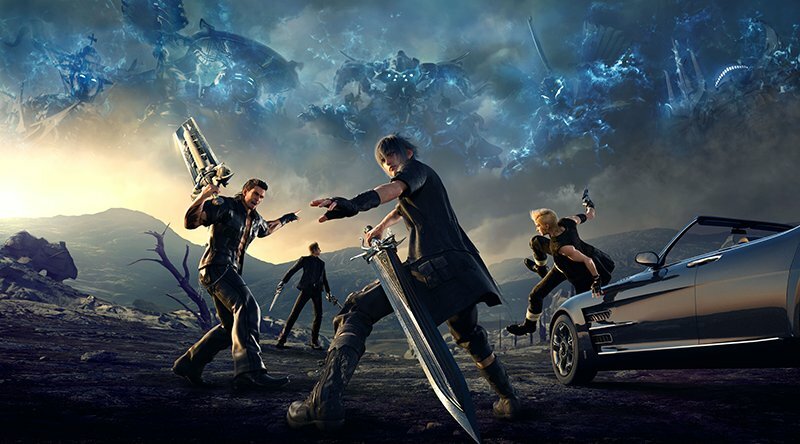 Final Fantasy XV has been a long awaited game ever since Final Fantasy XIII's and XIV's release. Spoiler alert! People waited years for the release of Final Fantasy XV. The trailers were amazing and the foothold they made with Kingsglaive was pretty solid. 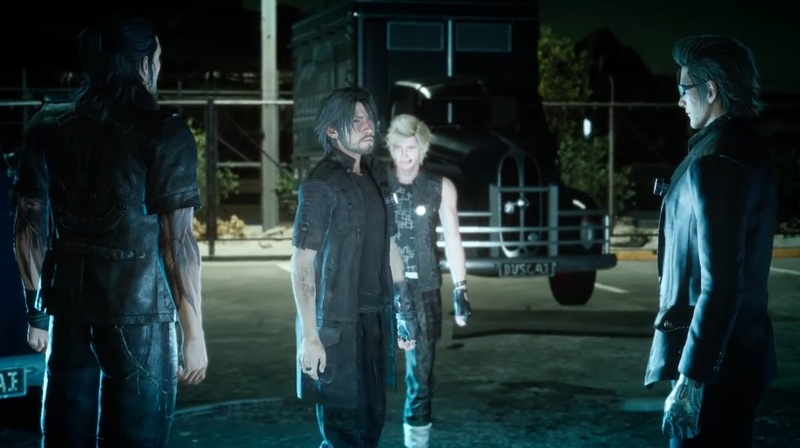 The demonstration of the graphics, the animation, the compelling backstory, and amazing voice-actors – yes, we’re looking at you, Sean Bean and Lena Heady – psyched up everybody for the release of Final Fantasy XV. To put the cherry on top, developers used the development engine for both Kingsglaive and Final Fantasy XV are allegedly the same. Sounds amazing, don’t it? But how is the game really? Let’s find out. Graphics are pretty realistic. It’s to be expected; you’re running on either a PS4 or an Xbox One. Unless, they’re going back to lego characters like how they did FFVII for the PS One and Computer. With the technology now, crafting an environment that grand a scale has become more elaborate. The grass blades are moving. The rain splatters onto the pavement. There’s even lightning flashing across the sky. Let’s not forget also that they even had mist fluttering around the grey skies. But that’s just the environment. Let’s look at how the characters are made. Noctis’ hair visibly moving with the wind. The creases and reflections on his clothes are done with proper angles or with at least minor/negligible errors. Even the weapons and their entry animations are pretty good instead of the usual sparkling with pixie dust. They actually materialize in front of you or in his hand. Best part is, the animation for the summons are pretty good. You have Shiva freezing the entire battlefield, Ramuh calling down a thunder storm, and real live interaction between the summon and Noct. So for graphics, it’s a pretty good shoo-in. 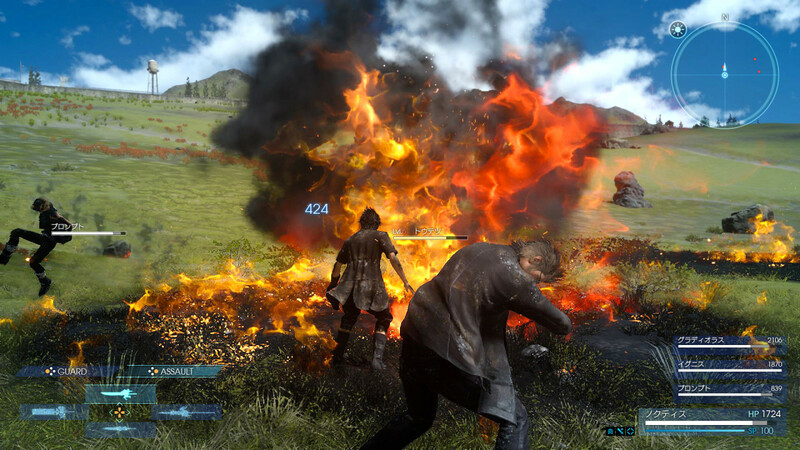 The gameplay for Final Fantasy XV is more open world. Run around, grab a few quests, smack a few monsters, get gold – rinse and repeat. For many, it’s pretty much a grind-fest. Seriously, you’re gonna be wandering around the whole night to pick up a few mats just so you can boost your Fire Spell to Firaga? That’s gonna take really long especially when you’re literally gonna die of boredom hunting for the same creature over and over again. But the battle system has made vast improvements especially after the initial implementation in Final Fantasy XII. However, the quests at one point become mandatory since you’re going to be heading up against other monsters. While some games create quests just for extra content, this game actually forces you to go through the quests to get the gil and some extra EXP in to face down the boss’s without popping a vein. Unlike other installments, the EXP piles up and only takes effect after resting or finishing the chapter. This can be a bit of a problem especially if there’s no camp sites around. What pissed me off was the summoning mechanics. Seriously, you have to get Noctis pummeled first before he can summon any of the astrals. Some of them even have conditions such as Leviathan needing a body of water, Shiva needing one K.O. party member, Noctis in danger, and a long period of that happening. You may as well win the boss battles without their help. Nonetheless however, the gameplay does have some other nice features such as having Real-Time Battle instead of having it Turn-based. This makes the game more realistic especially giving more room for strategy while adding some split second thinking to punch the adrenaline through your system. The lore in itself is a remake of Final Fantasy Type-0. Each empire has a crystal; each of them having a different purpose. In Type-0, there were four crystals. In FFXV, there are also four crystals. Each crystal is protected by the king by that particular empire. And similar to Type-0, there’s always one empire that decides that they want more or they broke their crystal and grab the other one. It’s kinda like watching a toddler trying to grab a toy from another kid except with guns firing and fires blazing. 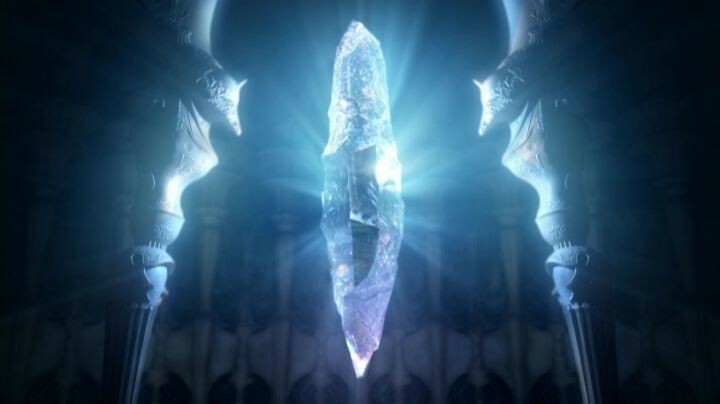 While the lore itself was pretty in-depth especially about the nature of the crystal and its link to the Astrals, the plot however became increasingly linear. It was pretty much point A to point B. Noctis leaves to power up. He shows up 10 years later and smacks Ardyn around. So, it’s pretty much a linear plot that could have been developed a little more. Okay, so let’s look at our characters here. We have the angsty, Sasuke-lookalike, Prince Noctis, Mommy Ignis, the hyperactive Prompto, and Papa Gladio running around in one merry band. Each of them took a shot through the foot one way or another. Noctis carries the guilt of having people die for him, Ignis loses his eyesight, Gladio barely survives being chopped up, and Prompto reveals he’s been genetically engineered for war. Not sure if everyone noticed this but, it’s pretty much a boy band in the making. The only thing they haven’t done is break into song. Looking for rough and rugged? That’s Gladio. Boy-Next-Door kind of guy? That’s Prompto. A bit of an intellectophile and into glasses? Ignis answers that. And looking for the quiet, cocky, loner guy? There’s Noctis. Development-wise though, the characters may have needed more development. Prompto’s only most earth-shattering, planet-cracking secret came out too late out in the game. Ignis, somehow, gets neglected save for his blindness. And Noctis seemed to show that his development was purely physical. Throw thirteen swords plus a 10 year time-skip while having a talk with the great Astral Bahamut and he’s good to go. And Lunafreya. Despite her strong character and not the usual princess stereotype, she could have gotten more personality development. Maybe, flesh out their relationship a little more. Different games appeal to different players. For some (like me), play for the story. Some others play for the adrenaline that they get from the gameplay. Admittingly, the game has lived up to a good gameplay (save for the grindy part of the game). However, for those who are playing for the story – I wouldn’t suggest it if you’re looking for it here.